Sustainable cleaning is about the product and the use of it. Therefore we produce highly concentrated, ecological cleaning agents and we combine them with clever dosage systems. This way we help you clean more efficiently, hygienically, safely and environmental friendly. That is our mission: decrease the total environmental impact of our products as well as decrease the cost of cleaning. 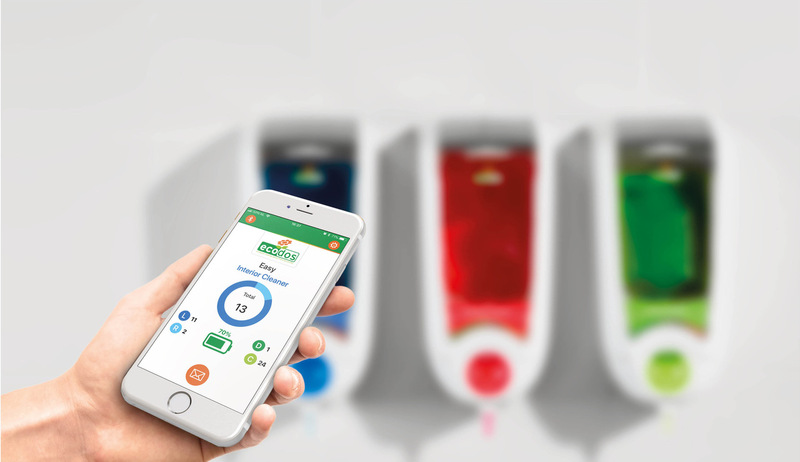 On the Interclean we have introduced several innovations: Ecodet Compact, Ecodos Method and the Ecodos App.